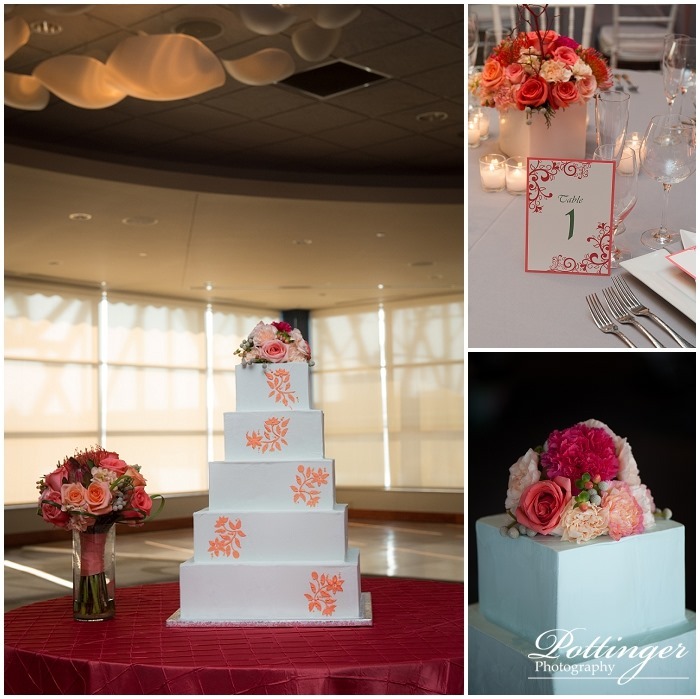 Posted on Monday, February 3rd, 2014, by Brenda Pottinger under Favorites. 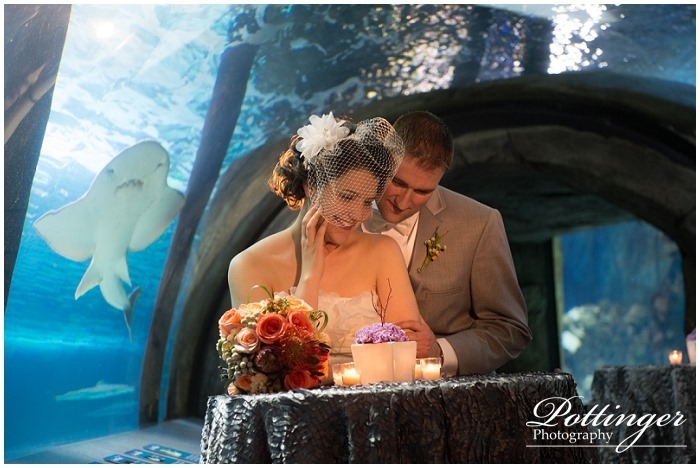 There are few places that include the elegance of the Cincinnati city skyline and the fun of sharks! 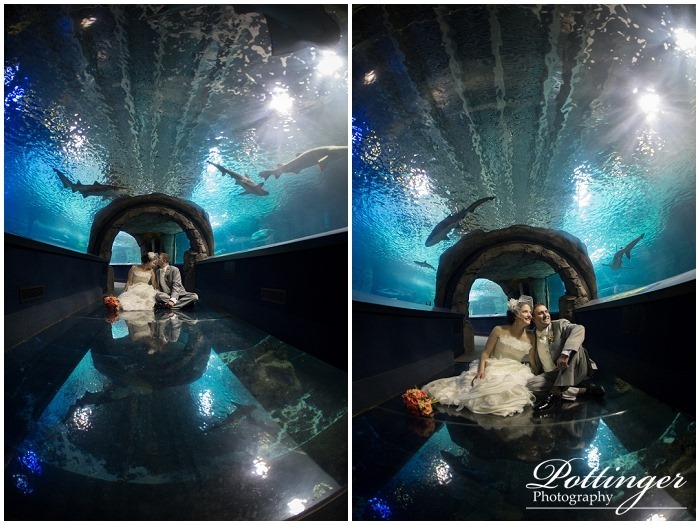 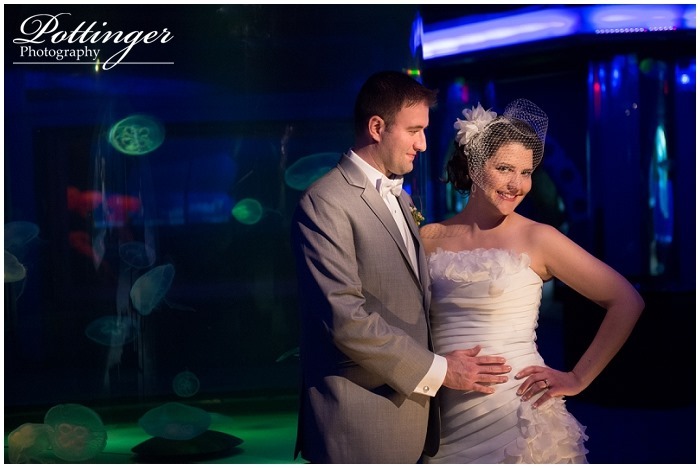 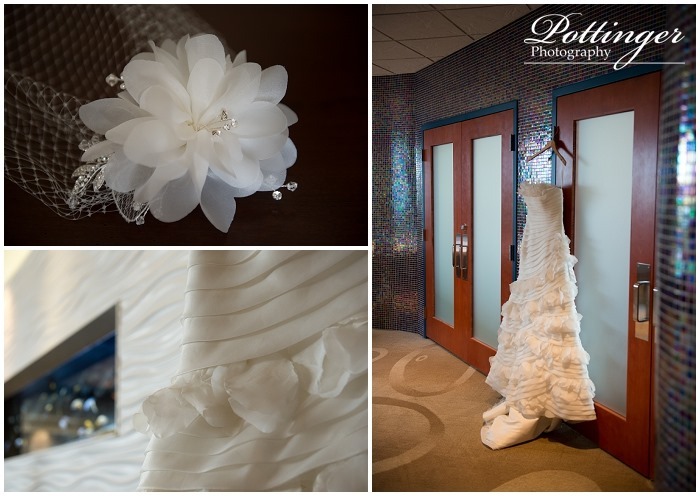 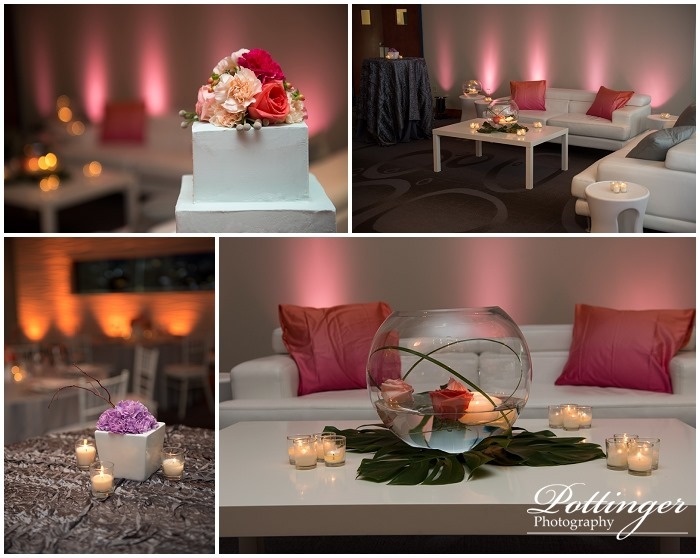 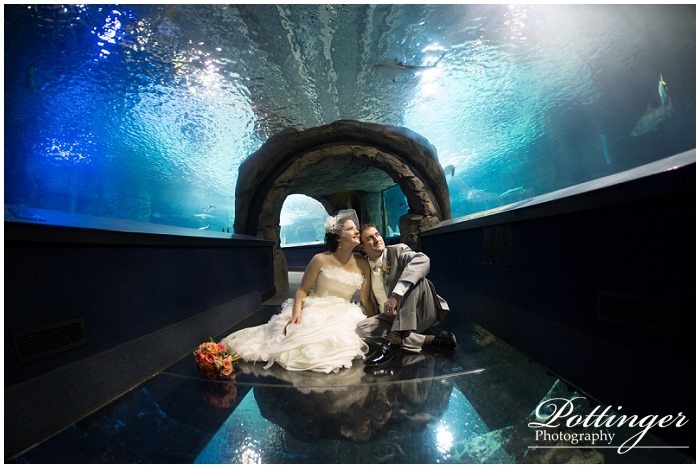 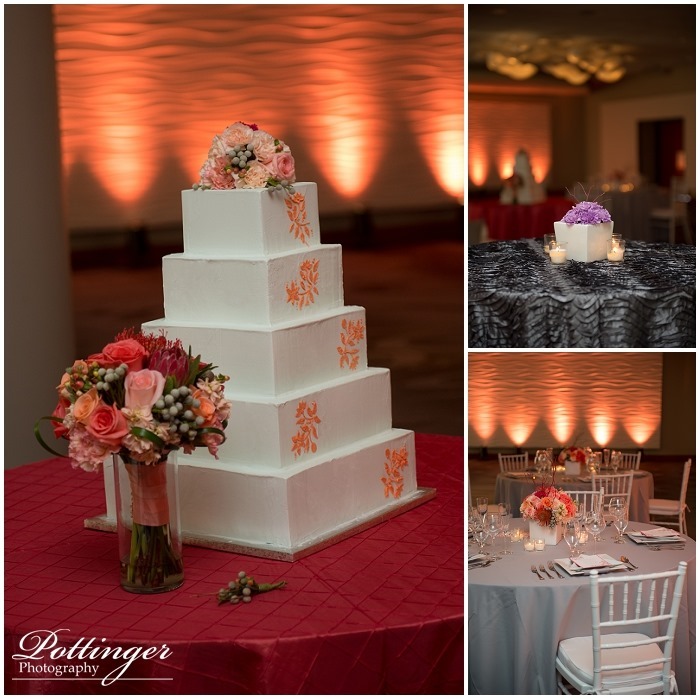 The Newport Aquarium is the perfect place to celebrate a wedding. 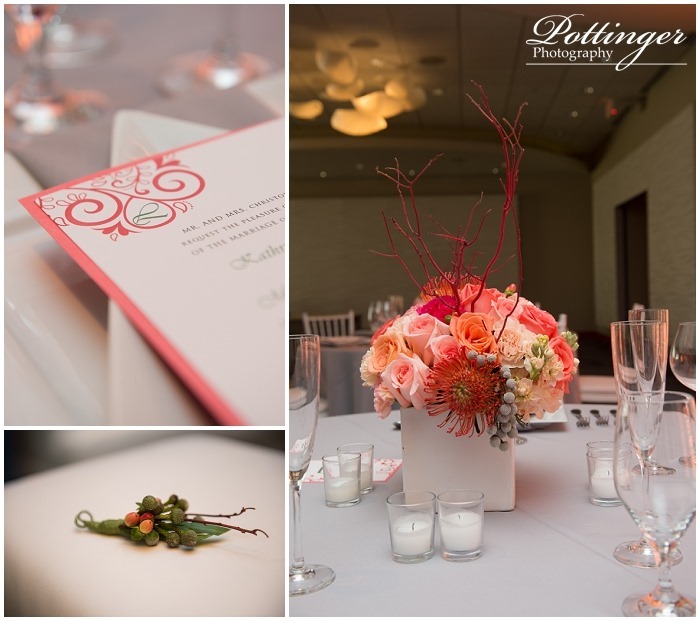 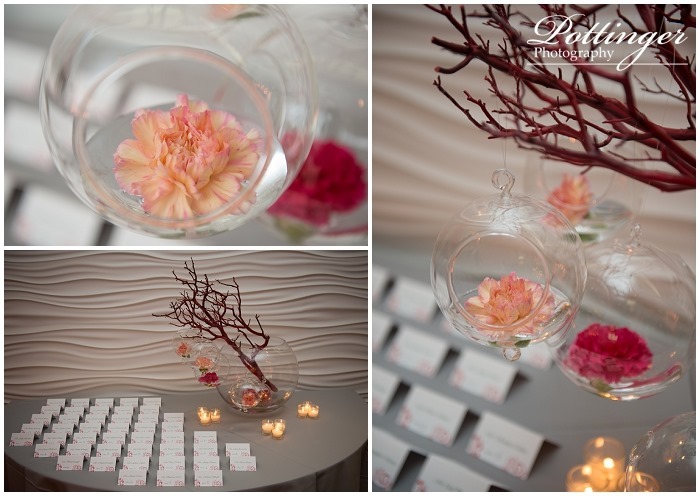 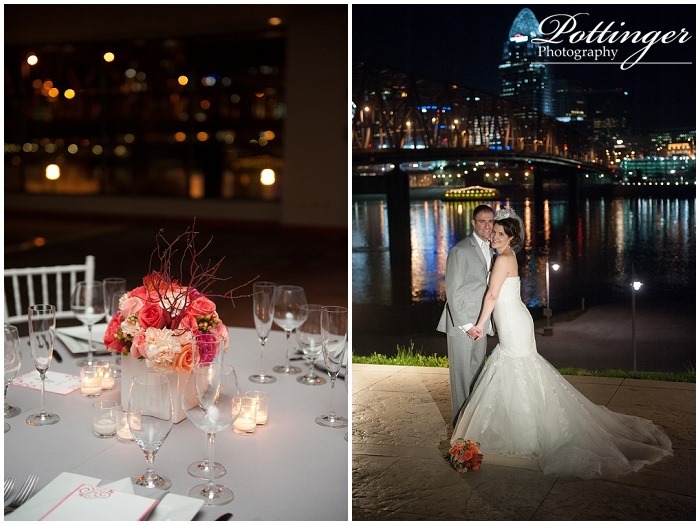 Their unique ballroom is great for an evening reception. 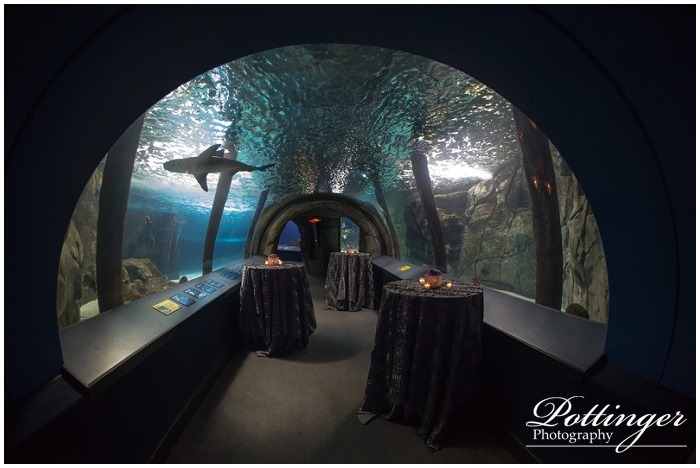 And the exhibits are so much fun for guests to explore during cocktail hour. 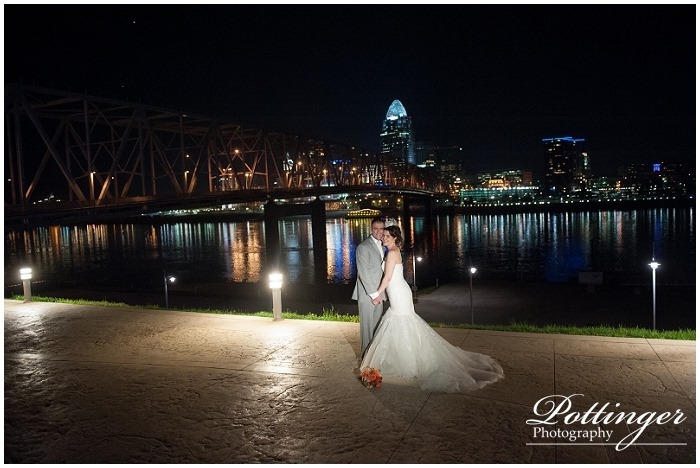 It is truly one of my favorite Cincinnati wedding venues. 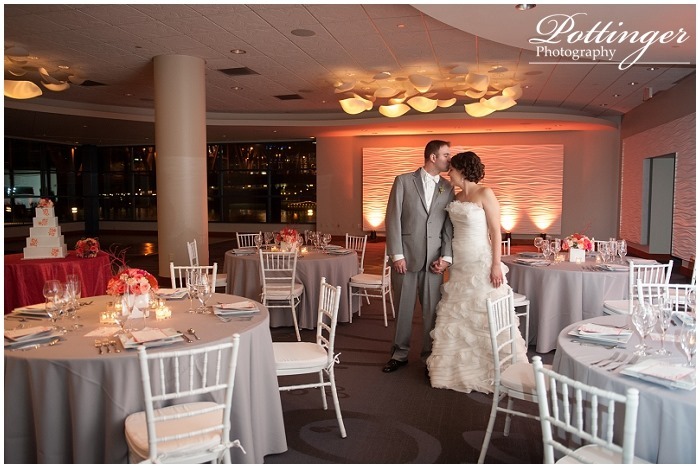 For this styled photo shoot we pulled together some of our favorite wedding professionals to show off the unique space.